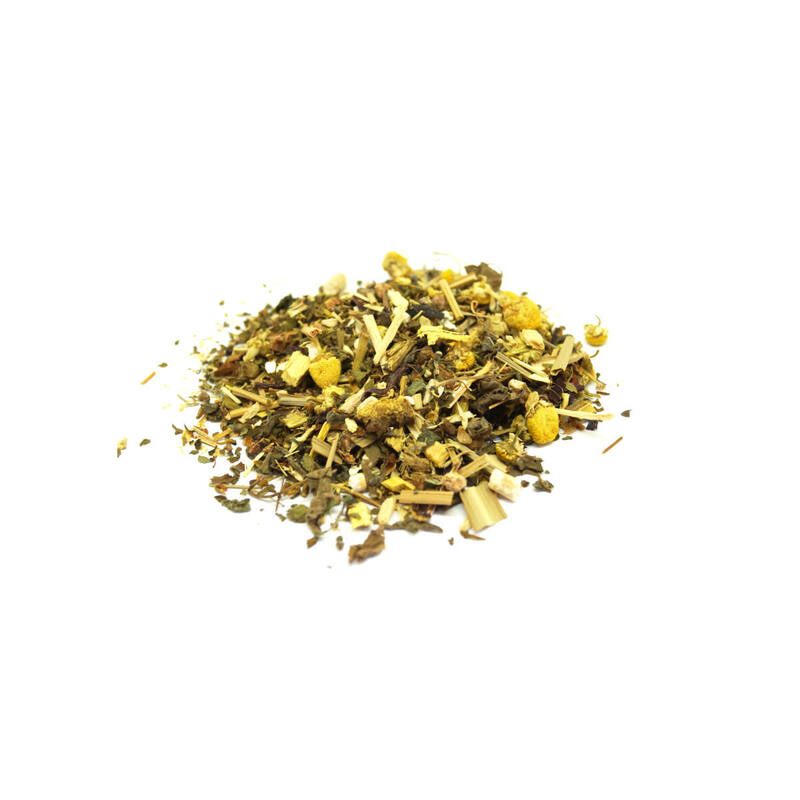 Adrenal Tonic is a great remedy tea for a fatigued Adrenal system…these hand crafted herbs combine to allow your adrenal system to restore and repair for better recover and reduced stress. Steep Me Remedy Tea combinations are a great way to get health benefits outside of the standard tea leaf. This combination of herbs helps the body with Adrenal Fatigue. Adrenal Fatigue is a diagnosis that can indicate that the adrenal glands are not working up to par. They are exhausted and are not producing adequate quantities of the hormones the body needs. The main hormone we address is cortisol due to a majority of those diagnosed are under chronic stress or suffering from infection. We combined this tea with our amazing blueberry caffeine free rooibos tea with the soft taste of Chamomile and the sweet aftertaste of Licorice Root. 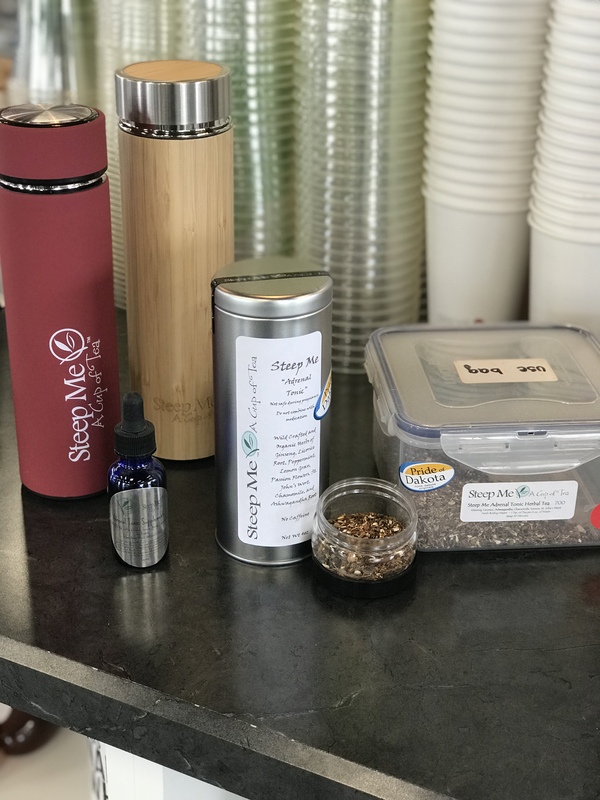 Ingredients: Organic and Wildcrafted Red Rooibos Tea from Cedarburg Province in South Africa with Blueberry Pieces, Steep Me Proprietary Blend of Wildcrafted and Organic Herbs of Chamomile, Licorice Root, Holy Basil, Ginseng and Schisandra Berries. Not safe during pregnancy Dark Tea, Oolong, Sencha and organic and wild crafted herbs of strawberry, gymnema silvestre, bilberry and astragalus root. *****The products offered by Steep Me a Cup of Tea or SteepMe.com are not intended to treat, cure or prevent any illness or disease. If you have or suspect that you have a medical problem, consult with your physician for diagnosis or treatment. Use herbs as per instructions and always watch for any allergic reactions. You should always carefully read all product packaging and labels. Always consult your physician or health care provider before using any herbal products, especially if you have a medical problem. Steep Me a Cup of Tea or SteepMe.com and/or its proprietors assume no liability for any injury, illness or adverse effects caused by the misuse and/or use of the information or products presented.